When the high-pressure gas is exhausted to the vacuum chamber from the supersonic nozzle, the overexpanded supersonic jet is formed at specific condition. In two-dimensional supersonic jet, furthermore, it is known that the hysteresis phenomena for the reflection type of shock wave in the flow field is occurred under the quasi-steady flow and for instance, the transitional pressure ratio between the regular reflection (RR) and Mach reflection (MR) is affected by this phenomenon. Many papers have described the hysteresis phenomena for underexpanded supersonic jet, but this phenomenon under the overexpanded axisymmetric jet has not been detailed in the past papers. 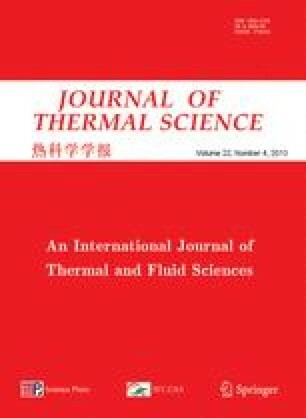 The purpose of this study is to clear the hysteresis phenomena for the reflection type of shock wave at the overexpanded axisymmetric jet using the TVD method and to discuss the characteristic of hysteresis phenomena.